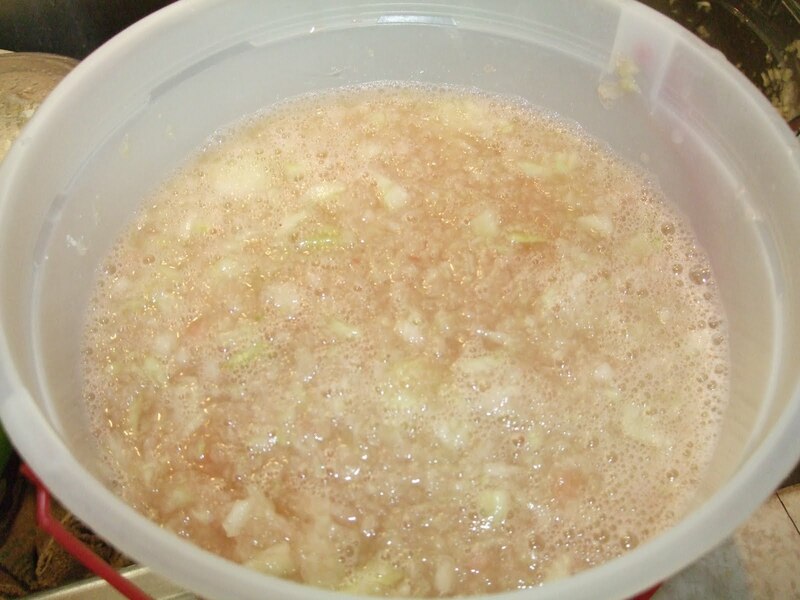 Squeezing the Eagle: Watermelon Rind - Part THREE! An everyday guide to money-saving tips and living the frugal life! 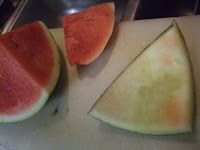 Watermelon Rind - Part THREE! 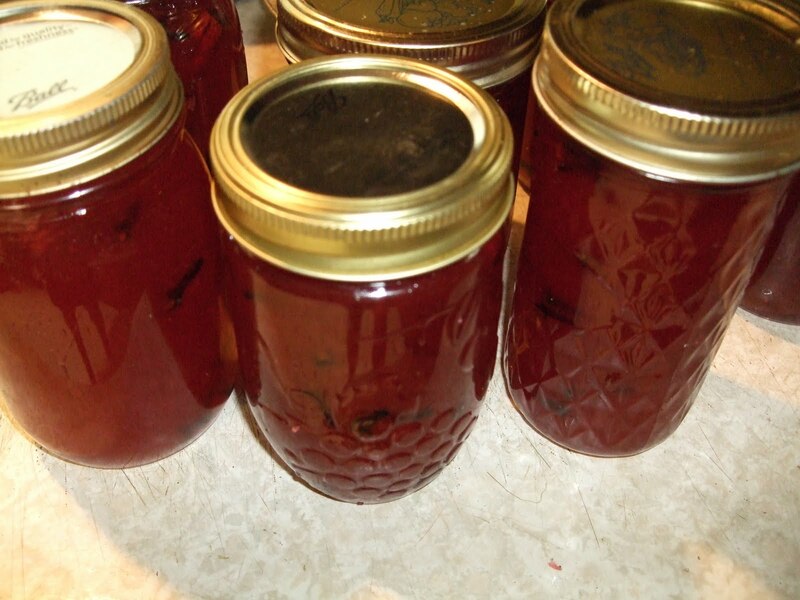 TODAY I made Watermelon Rind JAM! My sister was here from Seattle this week. And we had. . . watermelon! Now, I couldn't possibly just toss the rind on the compost pile, could I? Not if I'm to continue squeezing the eagle! So, here you have it. Watermelon Rind - Part 3! 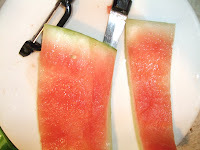 I PROMISE this is the FINAL installment for our watermelon rind "lessons". As in past posts, you'll need to remove the rind from the watermelon and peel the outer green skin from it. I use a vegetable peeler. This time you don't have to be quite as careful in making sure all the red part of the rind is removed. It won't matter if a bit of that gets in the jam. 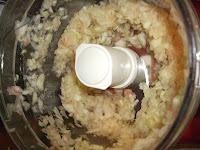 Cut the rind into chunks and process in your food processer until the chuncks resemble that of crushed pineapple. 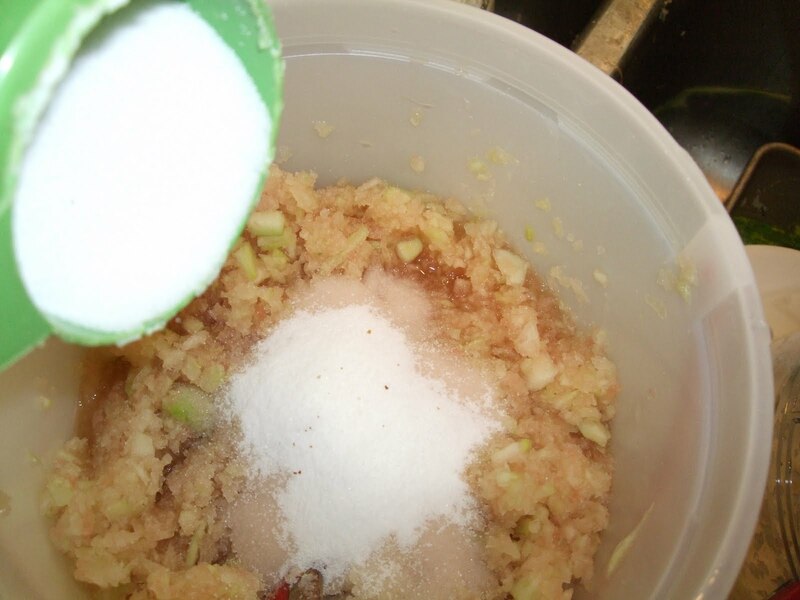 Place the "processed" rind in a large jar and cover with water to which you've added 1 cup of salt. Let stand overnight. 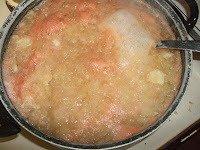 The next morning, drain off the water and add fresh water, placing the rind and water in a saucepan. Bring to a boil and let boil for approximately 10 minutes. Drain and set aside while preparing the syrup. 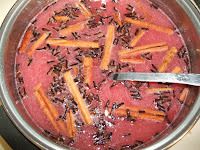 Combine in a large pot 3 cups vinegar, 2 cups strained red cherry juice (optional), 12 cups sugar, 12 cinnamon sticks, 3 tbsp. whole cloves. If you wish, you may tie the cinnamon and cloves in a cheesecloth bag. I don't mind the cloves in the jam, nor do I mind pulling the cinnamon sticks out and I think the flavor infuses better to keep them in the jam. Bring to a boil and simmer this mixture for ten minutes. Finally combine and hot syrup with the drained watermelon rind and cook until the syrup thickens and is transparent. Put in sterilized pint jars, with at least one cinnamon stick in each jar. Screw on the flats and rings and process in boiling water bath to seal. This is great with a bit of cream cheese on a cracker and then topped with some watermelon jam! this looks really good...i was on a watermelon binge a few weeks ago...i made a watermelon confit...but i think your jam looks much better and something that my family might actually eat! So, go ahead and eat another watermelon! Copyright © Squeezing the Eagle. All rights reserved.